Limerick's Diarmaid Byrnes shoots on goal during the Allianz HL Division 1A round 2 clash against Tipperary at the Gaelic Grounds. ©INPHO/Ken Sutton. 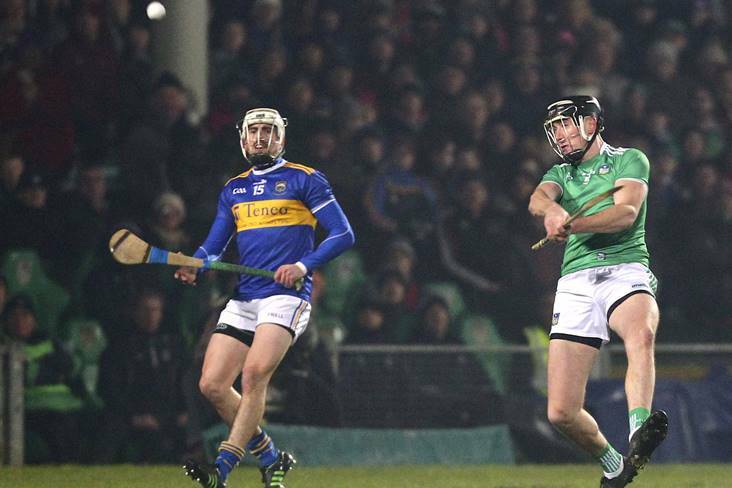 With the reigning All-Ireland football and hurling champions both in action, it was a massive night in the national leagues. Sam Maguire (and Leinster championship) holders Dublin entertained Connacht champions Galway at Croke Park in a crucial Round Two, football league Division One clash, while Liam MacCarthy Cup holders Limerick welcomed Munster rivals Tipperary to the Gaelic Grounds for a mouth-watering Division 1A hurling league encounter. Meanwhile, the much-anticipated meeting of Anglo-Celt Cup holders Donegal and Meath in Ballybofey gave us some clues as to the progress being made by these two sides, albeit still in the depth of winter.